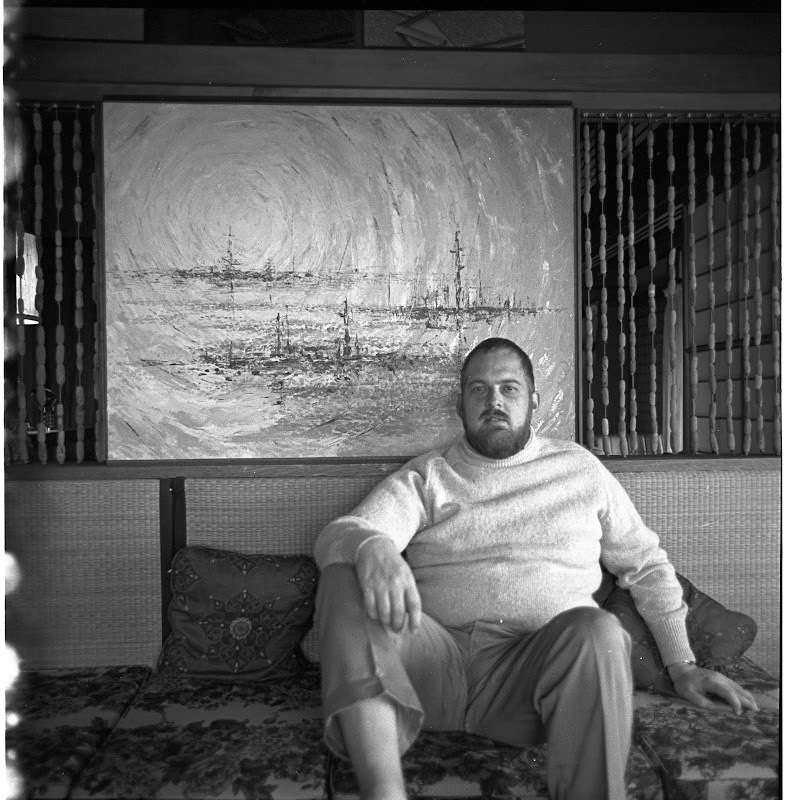 This was taken in the house where we lived in Hayama from 1970 to 1972. The hangings beside the painting were made from fishing net weights we kids would collect off the nearby beach. I have the painting in the background here, and will post a photo on its own eventually. This photo is part of a series of portraits RTH did of the whole family, which is why I'm sure it's a self-portrait.